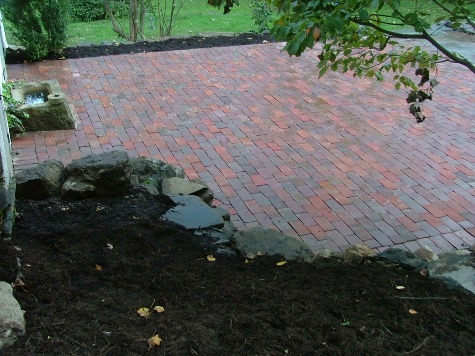 Clay Paving Brick offers permanent color and a centuries old classic look that has proven it can pass the test of time. 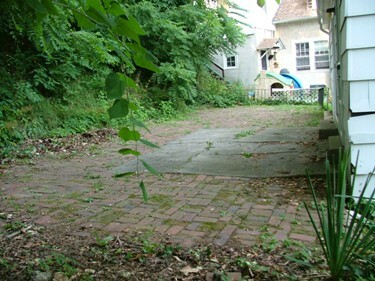 Many walks over 200 years old and still in good shape can be seen in older sections of Philadelphia. 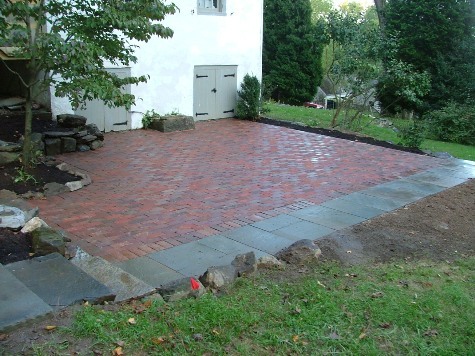 Clay Paving brick is installed over a compacted base of modified and screened stone with many available patterns and styles. 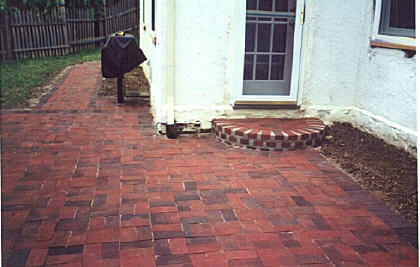 Clay Brick can be formed in a mold or wire cut during it formation for very different looks. 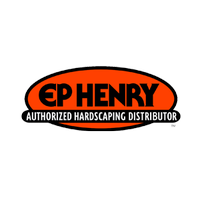 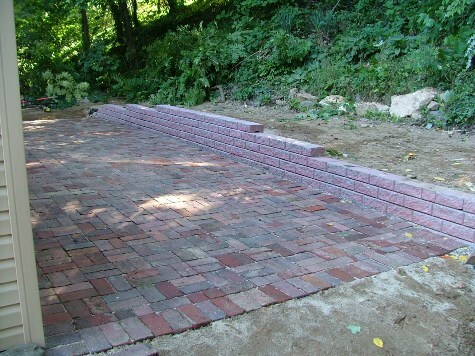 You can find more information on various types of brick on the Glen-Gery website. 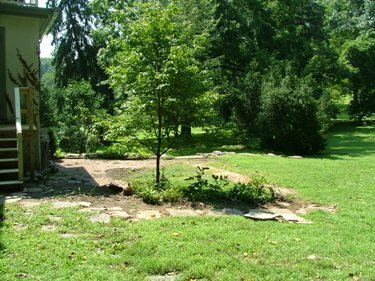 One disadvantage of traditional bricks is that they can absorb more water than concrete bricks; therefore algae can be more of a problem in shady areas. 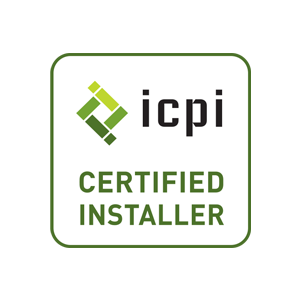 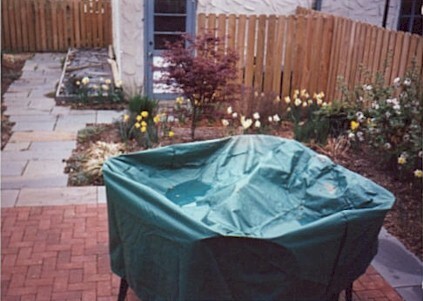 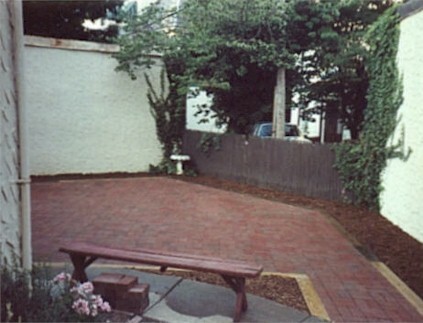 All patios shown were constructed by Robert J Kleinberg Landscape Design & Construction. 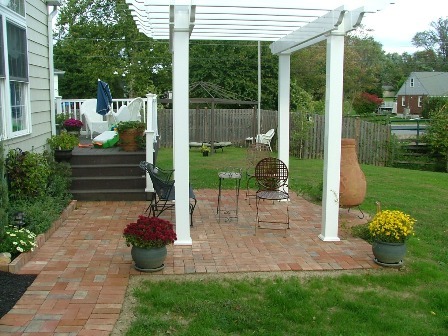 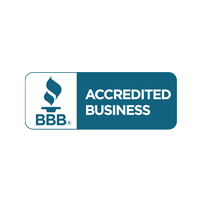 Please view some examples of our brick patios below. 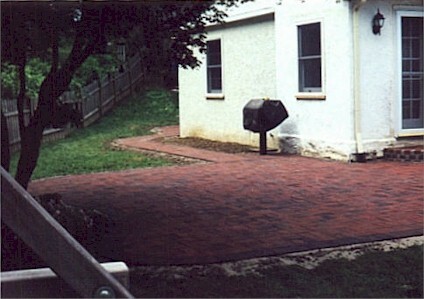 Danish Pavers Clay Paving Brick (a molded brick with some variation in the colors) using a basket weave pattern, and bordered with same bricks as a soldier border. 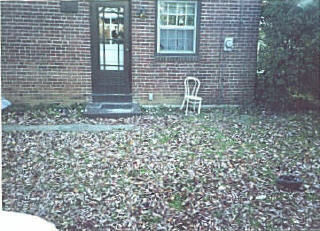 Existing Bricks were taken up from the old patio beside this old farmhouse, and mixed with Glen Gery 53DD bricks. Because the old bricks were not sized properly for basket weave or herringbone, the new bricks had to not only to match the color , but the size. 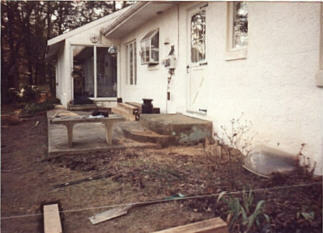 The new patio was installed using a running bond pattern with a soldier course on the outside. 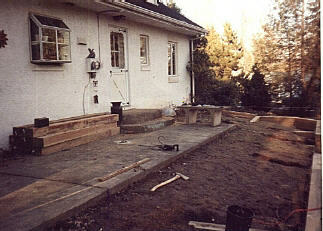 A few steps were added and flagstone walk between the steps. 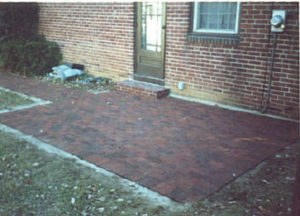 53DD Paving Brick (a molded brick with some variation in the colors) using a basket weave pattern – Some darker bricks were set aside and used on outside border of patio as a border. 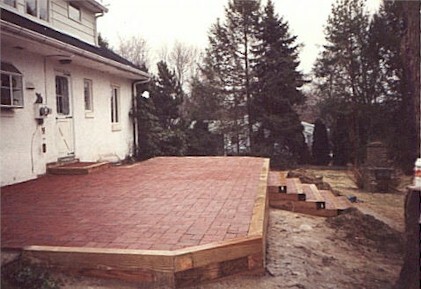 Red brick patio raised with pressure treated ties. 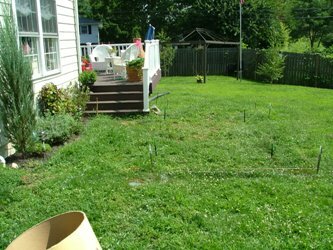 We do not use ties for edging much anymore. 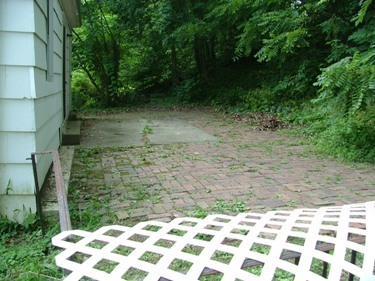 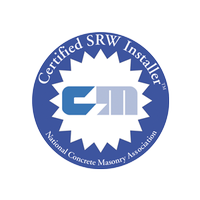 Segmental retaining wall stones and other types of walls could also be used to raise patio. 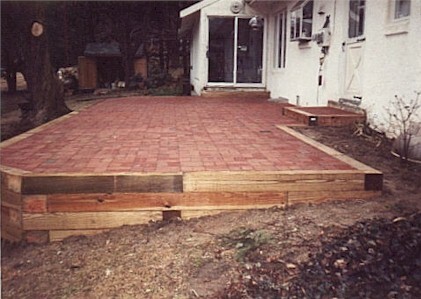 Cypress Pavers (wire cut ) with basket weave pattern – tie border. 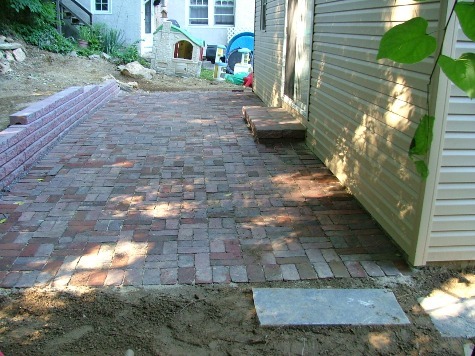 Dimex edging can be used below grade to restrain edges of the brick instead of tie borders. 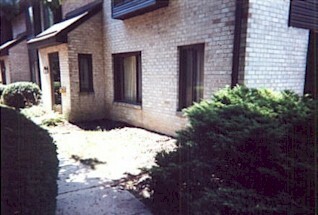 Brown brick using a basket weave pattern. 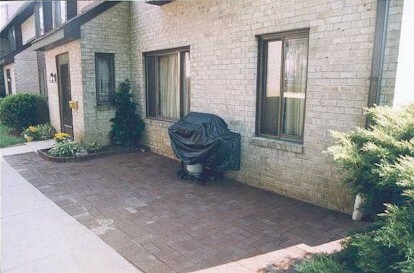 While not as varied a color range as pavers, bricks come in more than just the commonly thought of red. 53DD Paving Brick (a molded brick with some variation in the colors) using a running bond pattern and a brick border. 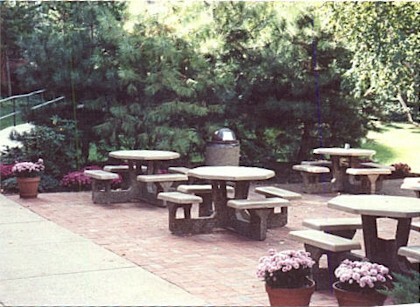 This was our first patio job; constructed behind the cafeteria at Presbyterian Hospital in 1986 with wire cut paving bricks. 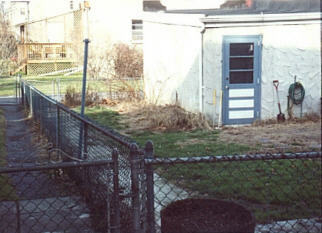 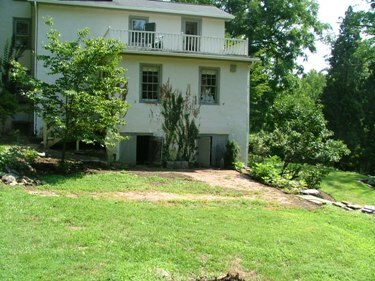 We also installed landscaping for privacy along the side of the patio. 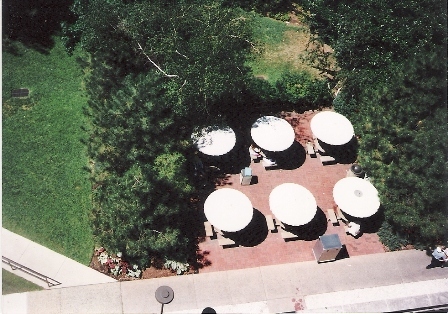 Overhead view of Hospital Cafeteria Patio surrounded with plants for privacy. 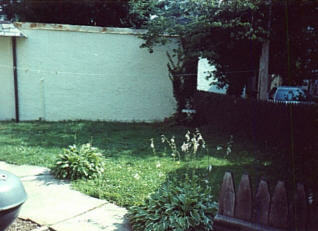 Cypress (wire cut) Paving Brick using a herringbone pattern and bordered with flagstone to tie patio together with informal walk, and help restrain the brick. 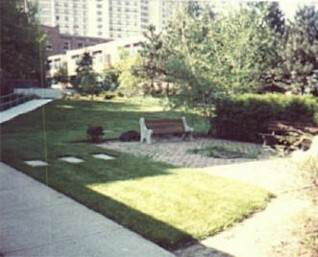 Landscaping was also installed around the patio. 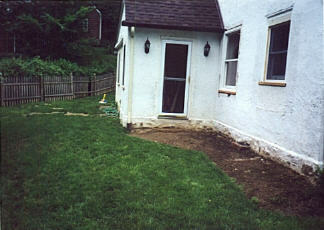 Raised bed against the garage was installed for a vegetable garden.